We are very, very, very excited about this month’s guest blogger. We invited our colleague Filiz Baloglu, from Istanbul, to write about the recent popular uprising in Turkey and its significance for family studies. Here is her thoughtful and interesting contribution. Please do not forget to leave your comments and feedback below. 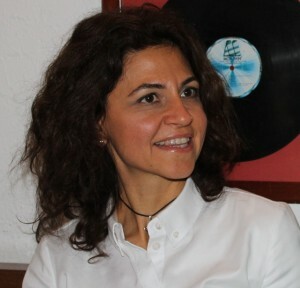 Filiz Baloglu is an Assistant Professor at Istanbul University, Faculty of Economics in Turkey. She works at the Department of Economic Sociology. Filiz is also the director of the ‘Methodology and Sociology Research Center’ and the editor of the ‘Istanbul Journal of Sociological Studies’. Her academic interest covers topics such as poverty, gender issues, informal markets, new emerging markets, market and tax relationships, which have a crucial effect on family life –- also a central topic of her studies. Her recent work is about the relationship between individual cultural capital and cultural capital of Istanbul. The protests that were started in Gezi Park in Taksim Square, at the heart of Istanbul, touched people almost like ‘a magic wand’. The resistance, which started with environmental sensitivities and architectural concerns in order to stop the trees from being cut and a shopping mall from being built in place of the park, went through a sort of transformation within a few days time, and gained a social and political character. The incessant protests were held in not only Istanbul but all over Turkey and made history as an agenda setting movement. The protests have also become a social phenomenon that interests and affects the whole world. It was particularly interesting that Brazilian protestors taking the streets against the public transport price increases were carrying signs that said “Taksim everywhere”. I will try to share certain significant aspects of this movement, which expanded in scope especially in connection with the recent uprisings in Egypt. I think it would not be a mistake to analyze the events through two interconnected spaces. The first one is the public spaces, Gezi Park and later on other parks and squares in other Turkish cities where protests broke out while the second is the virtual spaces of Facebook and Twitter. Just like real arenas, these two also became public gathering spaces where feelings and thoughts are shared and humor and ideas are produced. While the isolating characteristic of social media becomes disputable, dead public spaces that Richard Sennett highlighted became rejuvenated. Real and virtual living spaces displayed a unified character during the protests. In both types of spaces, the society gave up on being mere observers. In terms of architecture and environmentalism, the mall that is planned to be built in Gezi Park makes it necessary for us to look for a reality beyond objection. Some famous companies declared that they would not open branches, if a mall were to be built after this response. Social media also became the main source of news, as a result of the “obligatory insensitivity” and “peaking disinterest” of mainstream media. The people in the park created a sort of Facebook or Twitter family by sharing everything in real time. Just as members of a family take care of each other, they achieved this via social media. There are two visible actors on the field: people involved in ‘nonviolent’ resistance and young people that have been thought to have no political interest or experience on the one side, and the police forces that responded to the resistance with ‘excessive violence’ and the disproportionate force they used. Of course, the actor who keeps the relationship between these at this level and does not compromise is Prime Minister Recep Tayyip Erdogan. Although the starter was the park and the trees, later on everyone had their own reasons to be involved. The first group of protesters was a handful of people; the environmentalists, which consisted of young people who were woken up by pressurized water on the dawn after the night they spent calmly in their tents in Gezi Park, the green movement, flower children and artists. This group was accompanied by activists, especially representing the leftist thought. The government tried to marginalize the protests in Taksim, by using the flags and slogans of these groups. The continuity of the events and the increasingly authoritarian attitude of the government created a kickback and as the third group, the number of ordinary citizens that are ‘bothered by the interventions to their private lives’ by the government started to increase. Taksim almost witnessed the emergence of an anti-government movement against Erdogan. Although a fourth group consisting of opposition parties and NGO’s started to adopt the protests, they received negative response as well for ‘not representing the people sufficiently’. I think the most important issue observed since the very beginning of the protests is the divergence between two opposite lifestyles. This rupture between the secular sections that emerged with the establishment of the republic and the conservative sections rooted in Islamic values is in a sense the sharpening of the separation between the modern and the traditional. While sharpened especially by the discourse of ‘us and others’ used by the Prime Minister during the events, this separation led to new and bigger protests. For instance, the fact that he said; “we are forcing 50% of the population to stay at home”, gave the impression that the government accepts this dichotomy with an authoritarian language. The government trying to gather all power and hegemony in this way actually unified various groups by ‘marginalizing’ them. This is because the other front line of marginalization is economical. The protection of a public space that is being commercialized is also about what capitalist power is takes away from city-dwellers and appropriates, as much as it is about environmental concerns. The Prime Minister called the protestors a handful of looters, which means ‘a criminal who takes property belonging to someone else with the intention of keeping it or selling it’. This humiliating word changed meaning with a humorous tone and became a badge of honor for the protestors, meaning person resisting for his/her rights. Both the humorous and creative responses that they developed against the authoritarian attitude of the government and shared in social media, and their resistance, gave the Y generation, who are the leading actors of Gezi Park, a genuine identity. The rupture I briefly mentioned is closely related to what kind of youth is raised by the family. An obedient and unquestioning individual or a free individual that can make decisions about his/her future? The Geziers, who are in the second group, declared that they are here—categorizing their demands under one name — ‘for freedoms’: “do not touch my lifestyle”, “do not touch my park”. In this framework, the increasing interference in the lifestyle of the young people with religious and traditional references and Erdogan’s wish to create a religious youth becomes prominent. It is not a problem if families choose to raise religious children and the process works out like this in time. However, the issue here is conservationism by the government. Meanwhile, as mothers of these children, and because of the latest discourses of the government about abortions and number of children people should have, women are feeling the highest pressure. The governor who in a sense recognized the influence that women have in these events, called out to mothers: “come and take your kids from Gezi Park”. The response by the mothers was to come and join them. I guess we are going through a process in which an area, where traditional arguments have trouble or do not work, is being rebuilt everyday. After the Prime Minister said ‘the game is over’, the protestors were taken out of the park by brutal police force. The protests may seem impossible to continue in Gezi Park, which is open to public but closed to people now. However, the fact that the protest could not keep up speed does not mean failure. Because individuals, as citizens in Turkey, reinvented their power and creativity after a long time. Creative giants emphasized by Erving Goffman, try to create macro results with their micro level protests and thoughts. It was declared that Gezi Park would be left as it is in accordance with the court decision. Graduation ceremonies of many universities staged interesting images referring to Gezi events. It seems like the emblematic Gezi protests will continue to show itself in different platforms of the society.